Real Madrid’s solution to the current crisis is the man whose departure led to it. 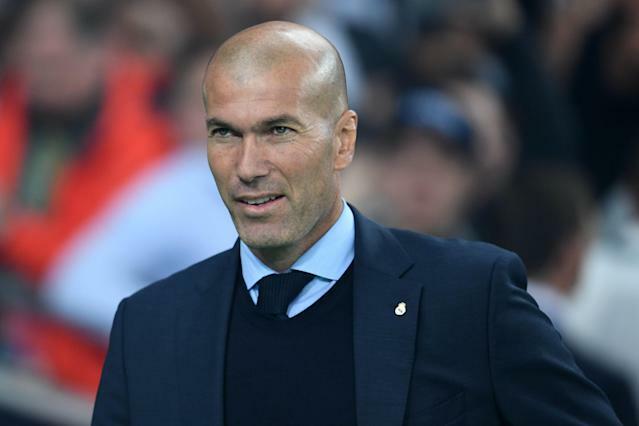 The club announced the hiring of Zinedine Zidane as manager on Monday, and also the sacking of Santiago Solari. Zidane and the club have agreed to a deal that will keep him at the Bernabeu through 2022. Spanish national newspaper Marca first reported that the move was going to be made. Nearly 10 months after he resigned, Zidane returns to a club in disarray. The sale of Cristiano Ronaldo over the summer and the aging stars left in the squad have resulted in trophy-less campaign that included three El Clasico losses to Barcelona and a humiliating Champions League exit at the hands of Ajax. That’s not the club Zidane left behind. Real Madrid won three straight European crowns under his guidance from 2016-18, the first such feat in the competition’s modern era, and also La Liga in 2017. Zidane resigned in late May citing a need for change with both him and the club. Real Madrid ended up hiring Spain national team coach Julen Lopetegui and sacked him barely four months later. Solari has managed the club in the interim and guided it back into the top three of La Liga. But the Ajax embarrassment seems to have been the last straw. The only silverware still on offer for Real Madrid is the league, and Barcelona holds a 12-point advantage in the table with 11 matches to play, so it would take an epic collapse by the club’s biggest, bitterest rival.